The Pilot has successfully demonstrated that not only can sustainable practices and outcomes be verified through the entire Canadian beef supply chain (from farm to processing), cattle from verified sustainable beef operations can also be tracked through these operations. The Verified Sustainable Beef Pilot Project in Canada is the first program to make the Global Roundtable for Sustainable Beef (GRSB) principles and criteria actionable across the entire beef value chain. In celebration of the Pilot's wrap-up, executives from McDonald's, World Wildlife Fund U.S. and members of the Canadian Roundtable for Sustainable Beef (CRSB) met Wednesday with Pilot participants, industry stakeholders and elected officials to share the progress that has been made towards verifying a sustainable beef supply. In addition to discussing the outcomes of the program, the Pilot's findings were officially handed over to the CRSB who has responsibility for mapping the path forward for verified sustainable beef in Canada. 182 – Number of operations (121 ranches, 34 backgrounding operations, 24 feedlots, two beef processors and one patty plant) completed the third-party process to verify their beef operations as sustainable under the Pilot project. 8,967- Total number of head of Canadian cattle that were tracked as moving through verified operations. 65 million - Number of pounds of beef McDonald's sourced last year from Canadian beef farmers to produce its beef patties. McDonald's Corporation, WWF-US and Cargill are founding members of the GRSB established in 2012. In 2014, the CRSB was formed creating a truly multi-stakeholder organization of experts representing every aspect of beef production, including McDonald's Canada, Cargill, Canadian Cattlemen's Association, Canada Beef, Loblaw Inc., government and producer groups. McDonald's Canada sources 100% Canadian beef for its hamburger patties from ranches, primarily from Alberta and Saskatchewan, making Canada a natural fit for the globally-supported Pilot. During the Canadian Pilot, local indicators were developed in line with the GRSB's principles in consultation with a cross-industry advisory board, and mechanisms for third-party verification and chain of custody management were agreed upon. People and community, include ensuring a safe work environment and commitment to supporting the local community. Animal health and welfare, such as adequate feed to drinking water and minimizing animal stress and pain. Food, such as ensuring food safety and beef quality, including training and registration in the Verified Beef Production (VBP) program. "As a progressive burger company, we are changing the way we source and serve food in our restaurants. We have an important role in helping build a more sustainable food system globally through initiatives such as the sustainable beef pilot in Canada and we're committed to continuing this important work around the world." "The Canadian beef industry is one of the best in the world and McDonald's Canada remains committed to serving our guests only 100% Canadian beef. The Pilot has demonstrated the remarkable progress and success that can come when industry and ranchers work together towards a more sustainable future." "We are so proud of the innovative and progressive work accomplished through the Canadian Pilot. We're committed to leading a sustainable beef movement, and will work alongside the GRSB to help advance the continuous improvement in sustainability of the global beef value chain." "Keeping the grasslands healthy in the Northern Great Plains is crucially important to ensure that the rich biodiversity of the region can thrive. 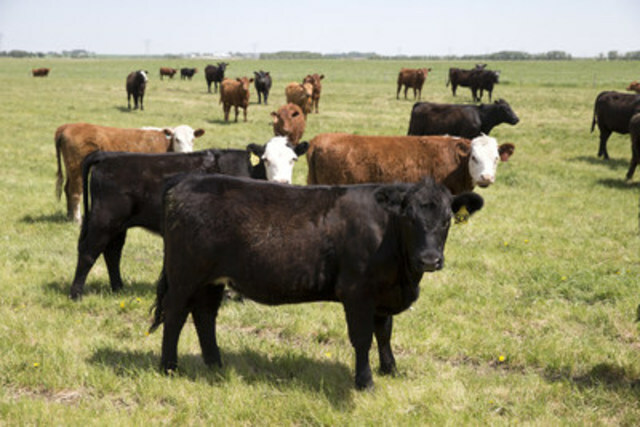 This project has played an important role guiding and defining principles that help ranchers better manage these natural resources while also addressing many of the environmental impacts of beef production along the supply chain." "The McDonald's Pilot has provided us with new insights that will support our thinking and direction as we advance existing and new sustainability efforts within the Canadian beef industry." In 1967, Canadians welcomed the first McDonald's restaurant to Richmond, British Columbia. Today, McDonald's Restaurants of Canada Limited has become part of the Canadian fabric, serving close to three million guests every day. Together with our franchisees, we proudly employ nearly 90,000 people from coast-to-coast and approximately 85 per cent of McDonald's 1,400 Canadian restaurants are locally owned and operated by independent entrepreneurs. Of the almost $1 billion we spend on food, more than 85 per cent is purchased from suppliers in Canada. For more information on McDonald's Canada visit McDonalds.ca. The Canadian Roundtable for Sustainable Beef (CRSB) is a multi-stakeholder organization focused on advancing sustainability efforts within the Canadian beef industry. The CRSB is the go-to forum on sustainable beef in Canada.